We’ve packed some extra stuffing into the roundup this week to account for some burnt turkey delivered by biopharma in the few days before Thanksgiving—starting with Eli Lilly’s failed gamble in Alzheimer’s disease. Lilly wasn’t alone, however. Several companies, among them Juno Therapeutics, Arrowhead Pharmaceutials, and Nivalis Therapeutics, have had some bad news for investors of late, sinking share prices and reminding folks just how quickly things can go south in biotech. There’s plenty more to get to, from a developing race for a new type of multiple myeloma treatment, to the latest tidbits on the cancer immunotherapy front (and check out this post for the latest on drug pricing and post-election healthcare policy news). Let’s get right to it. —In a big setback for Eli Lilly (NASDAQ: LLY) and the field of Alzheimer’s disease research, the experimental drug solanezumab failed to slow the cognitive decline of Alzheimer’s patients with mild symptoms in a high-profile Phase 3 trial. The news casts doubt on the amyloid hypothesis, the most common scientific explanation for the cause of the memory-robbing disease. —Additionally, according to reports, job cuts could be on the way at Lilly in the wake of the failed trial. —Juno Therapeutics (NASDAQ: JUNO), a developer of the cutting-edge cancer immunotherapy known as CAR-T, said before Thanksgiving that two more leukemia patients have died in a trial of its most advanced product candidate. Juno halted the trial, the second time it has done so this year. Juno reported in July that three patients had died of the same cause, severe brain swelling, but the FDA allowed the firm to restart the trial after several days. —After Juno, the CAR-T world was eager for good news. Some came this week from Cambridge, MA-based Bluebird Bio (NASDAQ: BLUE), which released early data for nine multiple myeloma patients treated with CAR-T. The data wowed investors—shares climbed more than 14 percent Thursday. Researchers at the University of Pennsylvania are also detailing early CAR-T myeloma data this week; their program shows more safety problems than Bluebird’s. But caveats abound. Bluebird, Penn, and others are just beginning a long road of patient studies, and CAR-T therapies for other blood cancers have done well initially, only to see their effects fade. —The Cancer Research Institute and the Parker Institute for Cancer Immunotherapy are funding a consortium of 30 academic and industry groups to search for “cancer neoantigens”—markers on tumor cells that could point drug developers toward new points of attack. —More cancer news: Grail has begun a massive, 10,000-person trial to help it develop a blood-based test that would detect early signs of cancer—and Fast Company reports the San Diego company aims to raise $1.7 billion to fund it. Grail launched in January; Xconomy profiled the company and its ambitions here. —Biotech deals are often backloaded with large sums of “biobucks,” downstream payments that rarely come to fruition, as this STAT article explores. —That phenomenon is worth noting in light of two licensing deals this week. While Cambridge, MA-based Idera Pharmaceuticals touted a $140 million licensing deal with Vivelix Pharmaceuticals, it only received $15 million up front. And U.K.-based Bicycle Therapeutics announced a broad partnership with AstraZeneca potentially worth more than $1 billion, but no up front financial figures were disclosed. —Boston-based Axial Biotherapeutics raised a $19 million Series A round to develop autism and Parkinson’s disease treatments by manipulating what’s known as the “gut-brain axis,” a network of signals between the microbes in our guts and the central nervous system. —North Reading, MA-based TraceLink, which tracks and documents the authenticity of pharmaceutical drugs, raised a $51.5 million Series C round from an arm of Goldman Sachs, as David Holley reports. —Summit, NJ-based Celgene made an unspecified second investment in data analytics firm GNS Healthcare, a year after participating in GNS’s $10 million Series C round. Jeff Engel has more on the arrangement between the two companies, and GNS’s ambitions, here. —Amgen (NASDAQ: AMGN) has begun an 8,000-person Phase 3 trial in heart failure for the drug omecantiv mercabil, triggering a $27 million payment to the drug’s original developer, Cytokinetics (NASDAQ: CYTK). —Shire (NASDAQ: SHPG) continued to expand its presence in Massachusetts by leasing office space at the iconic Genzyme Center in Kendall Square. Shire currently employs more than 3,000 in Massachusetts, and will move into the new space in 2019. —After years of talking about making a big Bay Area push, drug giant Merck (NYSE: MRK) announced that a new nine-story R&D facility in South San Francisco would be its permanent location in the area. Construction will begin next year, according to the developer. —Safety problems in animal tests have caused Pasadena, CA, and Madison, WI-based Arrowhead Pharmaceuticals (NASADQ: ARWR) to scrap all three of its drugs in clinical testing. Shares plummeted more than 67 percent. As Xconomy’s Jeff Buchanan reports, layoffs have quickly ensued, including the departure of chief scientific officer David Lewis. —Shares of Acorda Therapeutics (NASDAQ: ACOR) fell 13 percent before Thanksgiving when the company said it would no longer advance its flagship drug dalfampridine (Ampyra) as a potential treatment for stroke victims. Ardsley, NY-based Acorda will put resources behind its experimental Parkinson’s disease drugs instead. —Amicus Therapeutics (NASDAQ: FOLD) will have to run another trial for its Fabry disease drug, migalastat (Galafold), before filing for FDA approval. Shares of the Cranbury, NJ, company fell more than 30 percent. —An experimental cystic fibrosis drug from Boulder, CO-based Nivalis Therapeutics (NASDAQ: NVLS), cavosonstat, failed a mid-stage trial, sending shares down more than 60 percent. 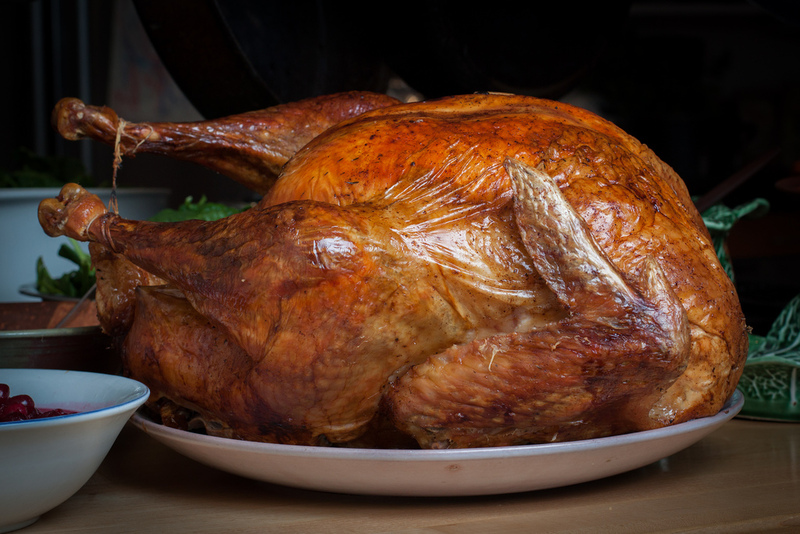 Photo of Thanksgiving Turkey courtesy of flickr user Tom Sackton via a Creative Commons license.